What is FaceTime – FaceTime is a video chat application developed by Apple to make video and audio calls with others through front-facing camera via Wi-Fi connection. It could be used across iPhone 7, iPhone 7 Plus, iPhone 6S, iPhone 6S Plus, iPhone 6, iPhone 6 Plus, iPad Pro, iPad Air 2, iPad Mini 4, Macbook or other Apple products. You can just dial phone number to call someone using iPhone or sign in with email address that is registered with Apple’s FaceTime service to call someone using iPad, Mac or iPod Touch. •Open up “contacts” on your iPhone and dial his/her phone number as usual. •When he/she got on the line, tap the FaceTime button to wait for your friend to answer the call. Note: Alternatively, you can scroll down to find his/her phone number through the contact list and enter his contact information. Click on the “FaceTime” button to wait for the connection over the internet. Most modern iPad come with FaceTime pre-installed. 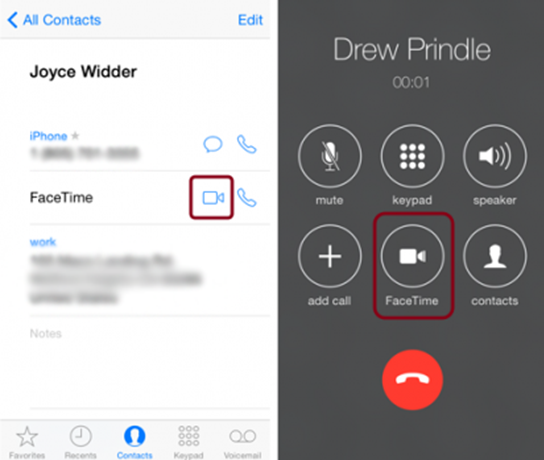 How to use faceTime on iPad depends on which device you want to call. If you want to call an iPhone user, you can directly dial his/her phone number as the way above. If you are calling to someone on iPad, iPod Touch or Mac, you’ll need to use email address as below. 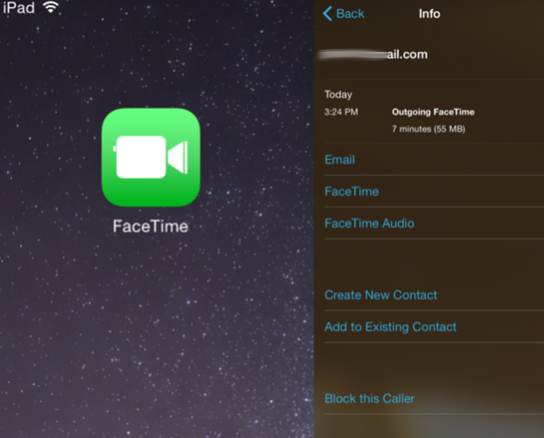 •Click on “FaceTime” icon from the home screen of iPad. •“Create New Account” button to sign up with a new account or sign in with your Apple ID or email address, the email address will be the equivalent of your FaceTime phone number. •After login, you can select his/her email to start calling. Keep in mind that they must have FaceTime app on their device as well, or the connection will fail. •Once your friend accepts the call, you can communicate with him/her freely. 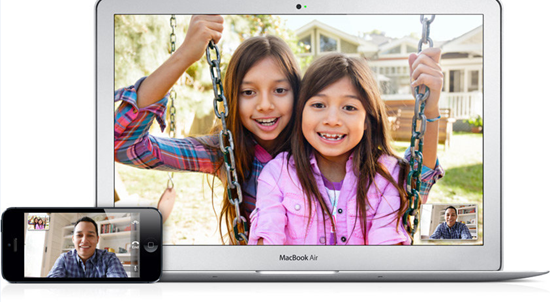 Download FaceTime app from Apple store to your Mac. Just like the way above, you are now able to select either the phone number or email from contact information to connect who you would like to chat. Note: Keep in mind that the email address you use to log in FaceTime is used as your FaceTime “phone number”. Share this email with people you wish to FaceTime with.